Fierce Mild are a group that draws from cinema, visual art and Australian history, as much as any musical influences, to craft their intricate brand of Post-Electro Cinematic Art Rock. Drawing from the emotional turmoil of losing a close friend, the song explores the trading of death and life as lead singer. Blood Bank is a five piece Indie-Post Punk outfit from Brisbane, Australia. Meeting during high school, the band formed in late 2016 and immediately began writing original material. The inspiration for "Shadow Boxing" came from a bad breakup and vocalist Sam says "Shadow Boxing is a song we wrote about bad decision making and avoiding tackling things head on. In my life, I’ve seen people do the wrong thing knowingly and then avoid facing the consequences of their own actions." Mercury Sun are a five piece indie-rock outfit hailing from Brisbane, QLD. The band members include Ash Benham (Vocals, Slide), Louis Reen (Guitar), Connor Reen (Guitar) and Harry Schneider (Drums). Sin City is a metaphor for that search and almost a self confession that represents the struggle for authenticity of the perfect life in the superficial age we live in whether it be in relationships, financial stability or the fear of regretting what we don't do rather than the mistakes we do make." Liv Heyer is not afraid of hard work, she has won awards for her song writing and is continuously playing events all around the country. "Depression has been a big battle for me, I wanted to create something super personal. I always struggle talking to mum about this stuff in person so I guess it was the best way for me to express it to her." Ice City is a punk and alt rock band from Australia. Consisting of four dudes. Sally Sa, the Singer songwriter from east coast of Australia with the husky taste of soul. The lyrics just sort of came to me” she explains. “I love free - styling and singing about my relationship with music just came easily for this one”. Chase City have an extensive touring history, played sold out shows across Australia, Europe including La Paradiso Amsterdam. the band have supported Gang of Youths, Dune Rats and British India. "Numb" is an "introspective look at the change in dynamics of life moving through your 20’s. It reflects on the feelings and attitudes of being a musician whilst having to navigate the reality of everyday life." Brisbane's Blue Nigel came together in late 2017 after being birthed from an ill-fated high school battle of the bands. "Shoreline is about simplifying a complicated love." explains the band, "It’s about letting go of all the issues in a relationship and just getting back to the basic love you feel for the other person." Consumer Group are the brand new alternative indie psychedelic rockers fresh out of the Gold Coast, delivering their first single as a band. After years of battling with drugs and alcohol he migrated to the center of Australia, picked up a guitar, became sober and devoted his life to music. Colin Lillie's 'Human Kind Of Life' is the journey he walked to become free, honest and true to himself. The song weaves its way through his childhood and adolescent years spent in his parents home, finally illuminating the man he became through the choices he made. How Much started life as a "rockier-type track with a Replacements' Stink vibe", referring to the (in)famous Minneapolis alt-rockers' 1982 EP. Hailing from the Western shores of Australia, Georgia Reed is renowned for her outstanding vocals and haunting songwriting. 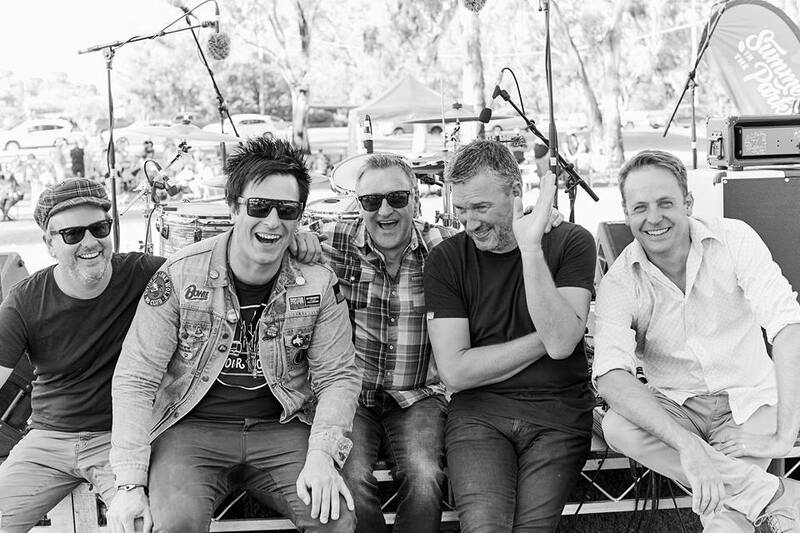 Singer-song writer Noah Dillon has recently exploded onto the vibrant WA music scene with his 5 piece alt-rock band. "After the initial impact of losing a friend that had passed I found a fear in returning to my normal routine and life moving along without them. The title of the song (Holding On) is in reference to holding onto things that make my life keep spinning for the person that's no longer here because that's what they would want." Mercury Sun are a five piece indie-rock outfit hailing from Brisbane, QLD. main theme is the unknown. In your mid-twenties, it’s a scary thing everyone’s world around you begins to settle yet in your mind the picture is more unclear than ever. You only have to turn on your TV to see it’s a hard slog for Australian youth at the moment. Despite the multitude of ways the genre has been disputed and diluted, the spirit of punk rock has always remained, at its core, a state of mind. Northbound is a tune about my time and relationships in Hamilton, NZ when I was 17. Some of the best times of my life. Things changed at the drop of a hat back then and life was always turbulent, full of passion and chaos. Eventually it all spun out and things started to fold. Kirra Beach locals, Hot Wax, continue to amass momentum in 2018 with the release of the no holds barred new single "Quit Your Job". "Quit Your Job" is an off-kilter anthem for misfits, doused with heavy punk instrumentation and decorated with snide lyrics that stick two fingers up at authority.